Several of the major political parties in Ireland have pledged to introduce a levy on sugar- sweetened drinks should they emerge victorious from this week’s General Election, as part of their plans to tackle obesity. According to the latest Consumer Insights report from Empathy Research, supermarkets are by far the most popular place to buy spirits, with three out of every four (75%) spirit buyers purchasing them there. 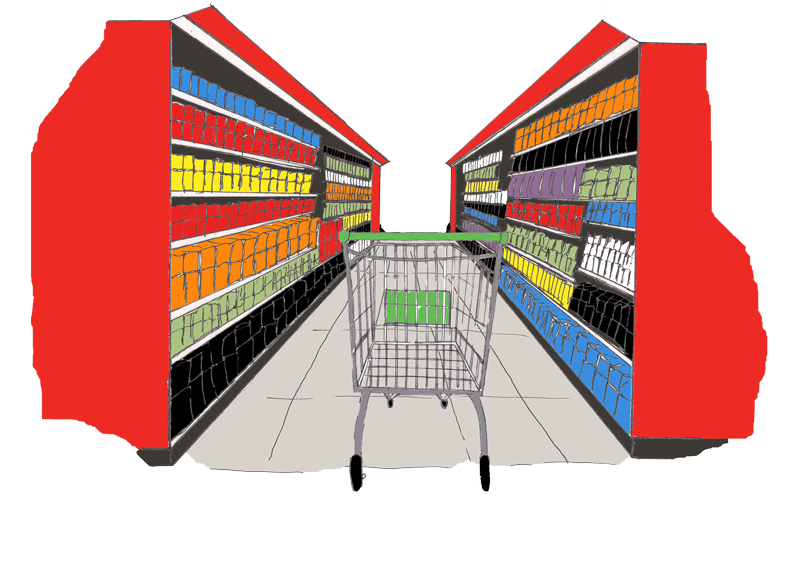 Independent off-licences place second with 22%, while discounters are the choice of 19%. The man who made Clerys windows come to life is now on a one-person mission to improve the standards of window dressing in Ireland's store fronts. Gerhard Scully was responsible for window dressing for 25 of his 37 years at the iconic O'Connell Street store, where he was Sales and Merchandising Manager. SuperValu today announced that it recorded retail sales of €2.6 billion in 2015, representing a new milestone for the brand and underlining its position as Ireland’s most popular grocery retailer with 25% market share. Building on this strong performance, SuperValu plans to invest €28 million in 2016, opening five new stores and adding 350 jobs to the SuperValu network. SuperValu, an Irish supermarket chain, is to open five new stores and create 350 jobs this year as part of a €28m investment. The firm announced the investment after it reported sales of over €2.6bn last year, which helped it to its 25pc market share. Lidl Ireland and Barretstown have announced today that the retailer has far exceeded it’s €1 million fundraising target for the charity. Following a successful three year partnership, Lidl revealed that the total to be donated to the charity is €1.2 million. It has emerged that Sainsbury's has competition in its bid to buy Argos-owner Home Retail Group. It was announced last Friday by South African retailer Steinhoff, after financial markets had closed in Europe, that it proposed an offer for Home Retail of 175p-per-share. Aldi Ireland recently announced a new programme to support local charities and not-for-profit organisations in Mayo as part of its 2016 community support programme. Each of Aldi’s two stores in Mayo has been provided with a bursary fund to be allocated annually to charities and not-for-profit community organisations operating within the local communities served by each store. MACE stores from across the country have been honoured at the MACE Excellence Awards for achieving exceptional standards in retailing, which was held recently in Killashee House in Co. Kildare. A leading analyst has said that Tesco’s recent improved performance in the Republic of Ireland is ‘representative of broad scale group-wide progress’ at the retailer. Black was commenting following the publication of last week’s Kantar Worldpanel figures for the Irish market..."
The €9.5 million sale of Irish Life investment properties in Cork and Limerick includes two Patrick Street Cork units set for increased profile from next year, when the Capitol Cinema retail site is completed, bringing a strong anchor (Zara? H&M?) to this end of Patrick Street. British retailer Go Outdoors is to set up its first outlet in Northern Ireland this summer. The group, which operates what it calls the UK's "largest outdoor stores" has signed a lease on 45,000 sq ft of space at Valley Retail Park in Newtownabbey. Asda has suffered its biggest UK sales drop on record, despite the supermarket giant growing its market share in Northern Ireland. It has seen sales across the UK slump nearly 6% over the crucial Christmas and New Year period.